Portland, Oregon — In front of a mostly unfriendly crowd of 4,646 at Providence Park, the North Carolina Courage defeated the Chicago Red Stars 2-0 on Tuesday night to advance to the NWSL Championship. This is the second consecutive year the Courage have defeated the Red Stars in the semifinals. On Saturday, the Courage will once again face the Thorns in the NWSL Championship — again a rematch of last year, only this time the two sides will meet on the Thorns’ home turf of Providence Park. The Courage — the NWSL Shield winners after finishing the regular season at 17-1-6 — found the back of the net in the first five minutes and the final five minutes of the game. Courage forward Jess McDonald opened the scoring for the Courage and Sam Mewis sealed the game up in the 86th minute with an upper-90 blast from a distance. The Red Stars, who entered the postseason as the fourth seed, came into this match at 8-2-3 in their last 13 games with their only losses coming to the Courage in July and then Utah Royals FC in the final regular season game. While the Red Stars’ 2018 campaign ended on the night, Rory Dames’ squad put on a performance that kept the Shield winners on their toes. Just five minutes into the game, Courage forward Crystal Dunn saw an opening in Chicago’s backline and slipped in McDonald. McDonald was put in a one-v-one situation against Red Stars defender Julie Ertz and with confidence beat her and slotted a right-footed shot into the left post for the early 1-0 lead. McDonald’s goal, on a typical night for the Courage, would have set the tone for several more shots and offensive chances to come shortly after, but the plot shifted on Tuesday night and the Red Stars took control. Even before McDonald’s goal went in, Red Stars forward Yuki Nagasato had a one-time blast that hit the crossbar. Then in the eighth minute, Golden Boot winner Sam Kerr almost equalized for her side, but her shot hit off the post. Kerr came into the semifinal with 16 goals on the year — good for the Golden Boot for the second straight season. Her 16 goals, along with four assists, came in only 19 games after she missed the first five games due to international duty. Courage defender and captain Abby Erceg, who has been a key component of the Courage’s record-breaking defensive season (fewest goals allowed) was asked after the game what it’s like to defend Kerr. Kerr and Nagasato have been the dynamic duo for the Red Stars all season with Nagasato chipping in four goals and seven assists this season, and all seven of her assists have been to Kerr. The two continued to dictate the game throughout the remainder of the first half with the Courage disheveled in the midfield and caught chasing. The Courage were without MVP finalist midfielder McCall Zerboni, who broke her elbow in the first minute of the U.S. national team’s win over Chile on September 4. The Courage midfield, specifically Mewis and Denise O’Sullivan, were dealt the task of handling Nagasato and a technical Chicago offense, without the blocking and stopping of Zerboni. Kerr finished the match with two shots and created one chance and Nagasato had one shot. After the game, Kerr was asked about her time with the Red Stars and if she will be back next season. The Red Stars, even with Kerr now, have yet to make it to the NWSL Championship even after making the semifinals for four straight seasons. This year, head coach Rory Dames said this loss feels different. After halftime, the Courage shifted their game plan and sat back. The Red Stars forced the Courage, who set records for wins (17), points (57), most goals scored (53) and fewest goals allowed (17) and became the best team in American women’s professional soccer history (per their points per game average of 2.375) to sit in. Once the Courage adjusted their strategy, the game opened up for them and they were able to find Dunn more, Debinha and Lynn Williams in pockets in the final third. In the 86th minute, Mewis scored her fourth goal of the season and did so in absolute style, scoring a rocket from the right side of the pitch into the upper-90. The Courage will return to Providence Park on Sunday, September 22 to face the Thorns on their home pitch at 4:30 p.m. ET. In the NWSL, no Shield winner has ever won the title. Will this be the year the Courage break the curse? Match ends, North Carolina Courage 2, Chicago Red Stars 0. Second Half ends, North Carolina Courage 2, Chicago Red Stars 0. Corner, Chicago Red Stars. Conceded by Heather O'Reilly. Substitution, North Carolina Courage. Heather O'Reilly replaces Merritt Mathias. Attempt saved. Lynn Williams (North Carolina Courage) right footed shot from a difficult angle on the left is saved in the bottom left corner. Substitution, Chicago Red Stars. Rosie White replaces Vanessa Di Bernardo. Goal! North Carolina Courage 2, Chicago Red Stars 0. Samantha Mewis (North Carolina Courage) right footed shot from outside the box to the top left corner. Assisted by Crystal Dunn. Attempt saved. Debinha (North Carolina Courage) left footed shot from the centre of the box is saved in the centre of the goal. Assisted by Denise O'Sullivan. Attempt missed. Debinha (North Carolina Courage) right footed shot from the left side of the box misses to the left. Assisted by Lynn Williams with a cross. 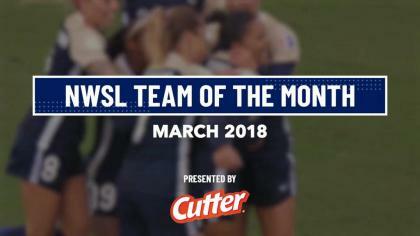 Corner, North Carolina Courage. Conceded by Danielle Colaprico. Delay in match Morgan Brian (Chicago Red Stars) because of an injury. Attempt missed. Morgan Brian (Chicago Red Stars) header from the right side of the six yard box is close, but misses to the right. Assisted by Danielle Colaprico with a cross following a set piece situation. Samantha Kerr (Chicago Red Stars) wins a free kick on the left wing. Attempt missed. Debinha (North Carolina Courage) right footed shot from outside the box misses to the right following a set piece situation. Offside, Chicago Red Stars. Julie Ertz tries a through ball, but Yuki Nagasato is caught offside. Attempt blocked. Crystal Dunn (North Carolina Courage) left footed shot from the centre of the box is blocked. Assisted by Merritt Mathias. Attempt blocked. Lynn Williams (North Carolina Courage) right footed shot from outside the box is blocked. Assisted by Crystal Dunn. Attempt saved. Casey Short (Chicago Red Stars) left footed shot from outside the box is saved in the bottom right corner. Assisted by Arin Gilliland. Offside, North Carolina Courage. Crystal Dunn tries a through ball, but Debinha is caught offside. Offside, North Carolina Courage. Denise O'Sullivan tries a through ball, but Crystal Dunn is caught offside. Attempt missed. Casey Short (Chicago Red Stars) left footed shot from outside the box is close, but misses the top left corner. Attempt saved. Morgan Brian (Chicago Red Stars) left footed shot from outside the box is saved in the top left corner. Assisted by Samantha Kerr. Second Half begins North Carolina Courage 1, Chicago Red Stars 0. First Half ends, North Carolina Courage 1, Chicago Red Stars 0. Attempt saved. Yuki Nagasato (Chicago Red Stars) right footed shot from the right side of the box is saved in the top centre of the goal. Assisted by Alyssa Mautz. Corner, Chicago Red Stars. Conceded by Jaelene Hinkle. Attempt saved. Debinha (North Carolina Courage) left footed shot from the left side of the box is saved in the top centre of the goal. Attempt missed. Samantha Kerr (Chicago Red Stars) right footed shot from the centre of the box misses to the right. Assisted by Casey Short with a cross. Attempt blocked. Jessica McDonald (North Carolina Courage) header from the centre of the box is blocked. Assisted by Debinha with a cross. Corner, North Carolina Courage. Conceded by Morgan Brian. Attempt missed. Debinha (North Carolina Courage) right footed shot from outside the box misses to the left from a direct free kick. Attempt blocked. Alyssa Mautz (Chicago Red Stars) header from the centre of the box is blocked. Assisted by Casey Short with a cross. Attempt blocked. 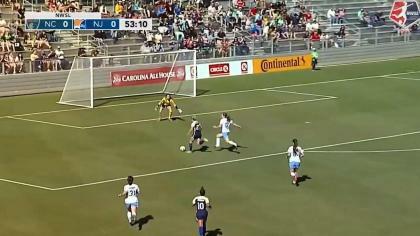 Morgan Brian (Chicago Red Stars) left footed shot from outside the box is blocked. Attempt saved. Crystal Dunn (North Carolina Courage) left footed shot from outside the box is saved in the centre of the goal. Samantha Kerr (Chicago Red Stars) hits the left post with a right footed shot from outside the box. Assisted by Morgan Brian. Attempt saved. Samantha Mewis (North Carolina Courage) header from the centre of the box is saved in the top centre of the goal. Assisted by Jessica McDonald. Goal! North Carolina Courage 1, Chicago Red Stars 0. Jessica McDonald (North Carolina Courage) right footed shot from the centre of the box to the centre of the goal. Assisted by Crystal Dunn. Offside, North Carolina Courage. Denise O'Sullivan tries a through ball, but Debinha is caught offside. Attempt saved. Vanessa Di Bernardo (Chicago Red Stars) header from the centre of the box is saved in the top left corner. Assisted by Arin Gilliland. Vanessa Di Bernardo (Chicago Red Stars) hits the bar with a left footed shot from the centre of the box.